DMW begins the year with a splendid tune ‘PRAYER’. 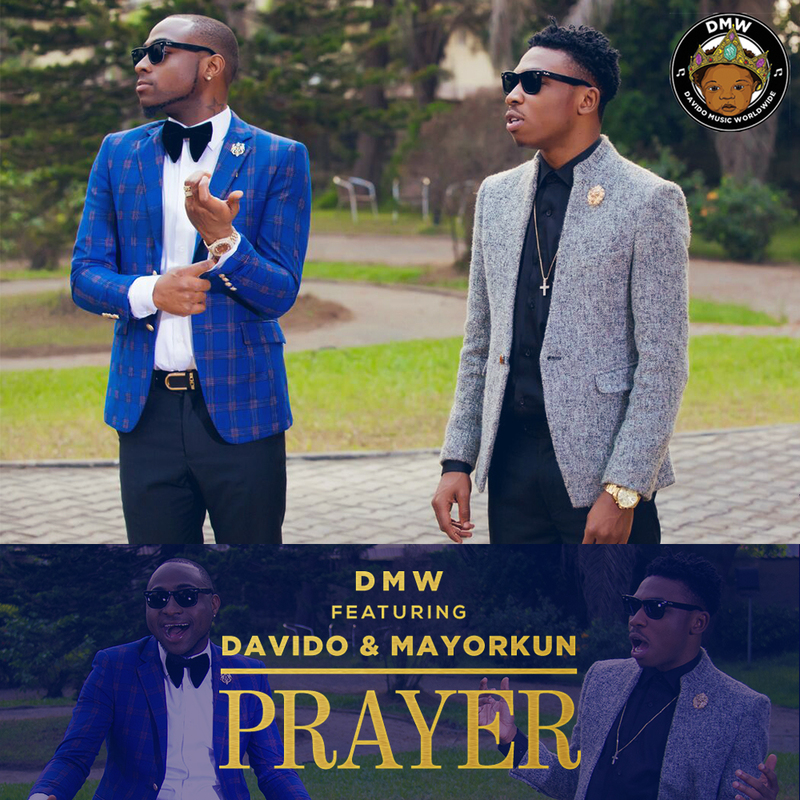 The Prayerful tune features The DMW Boss Davido & Rising star Mayorkun. As announced by the label’s social media accounts, ‘PRAYER’ is a track off the DMW album/mixtape which would be released later in the year. This single features label boss ‘DAVIDO’ & 2016’s biggest breakout star ‘Mayorkun’, Its a follow up to the previously released ‘Back 2 Back’ which peaked at number 1 on the iTunes chart back in May 2016. As the title implies, ‘PRAYER’ is a very inspirational tune, that sees Mayorkun & Davido display such beautiful synergy you ll see a lot in the DMW album. Audio produced by Fresh Beatz & Video directed by Unlimited LA. The song which was laced with The spicy beat – And The DMW acts sure mends in their prolific lyrics to blend with the prayerful tune. Stating the Year with another Happy-Celebration tune, as it sees all Graces to bound the new Year. Nobody does it better like the DMW’S. Prayer is sure another banger. Mayorkun’s first official 2017 single is already in the works and would premiere in February. 0 Response to "DMW Ft. Davido & Mayorkun – Prayer|| (Mp3 Download)"